Lead Poisoning Prevention Partners | Isles, Inc.
Lead poisoning prevention matters. Lead threatens our children, our homes, and our community in a multitude of ways. Read on below to see its impacts. In New Jersey, up to 80% of lead exposure comes from lead-based paint dust in homes and buildings built before 1978. Lead poisoning happens primarily in the home through chipping lead paint and water. Because children spend roughly 70% of their time indoors, for those living in substandard housing with issues like lead paint, the home can be the most dangerous place for them. Housing affordability and accessibility are vital, but we can take it a step further by making sure these homes are lead-safe and healthy. While low-lead exposure is most common, exposure to high amounts of lead can have devastating effects on children, including seizures, unconsciousness, and, in some cases, death. Your Regional EPA Office can provide further information regarding lead safety and lead protection programs at epa.gov/lead. Region 2 (New Jersey, New York, Puerto Rico, Virgin Islands) (732) 321-6671. Lead negatively affects academic performance, increases the chances of all types of learning disabilities, and can cause speech and language problems for young children. Over time, the effects will increase the disparity in educational outcomes between children who have been poisoned by lead and those who have not. Of more than 11,000 students in Trenton Public School District, 51% have enough lead in the their blood to impact developmental and educational outcomes. Children with blood lead levels at the national lead reference level of 5 mg/dl of lead in their blood are 30% more likely to fail 3rd grade reading and math tests, and lead-poisoned children are seven times more likely to drop out of school. Lead also impairs the part of the brain that regulates behavior and mood. It is associated with impulsiveness, aggression, and higher rates of criminal behavior. If you consider these effects, lead is a serious but hidden contributing factor to increased violence in inner cities with older housing stock. In the U.S., the removal of lead from paint in 1978 and the final phase-out of lead in gasoline by 1986, resulted in a dramatic reduction in blood lead levels of children. As lead began to leave the environment, violent crimes in the general population went down. Numerous studies link the removal of lead in paint and gasoline to up to 90% of the reduction of violent crimes in the 1990s. However, the issue of lead is still prevalent in the environment in older housing stock, plumbing, and soil. 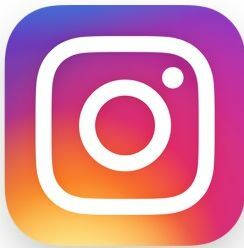 Lastly, if you are invested in the community of Trenton--its improvement and success, lead is a root issue that touches so many of the elements of a healthy community: the state of housing, wellbeing of children, crime rates, and educational outcomes, which can affect career and economic opportunities. Out of the more than 1400 homes Isles tested in Trenton, more than 60% had enough lead present to affect a child’s IQ. In the 2012-13 school year, 15% of Trenton kindergarteners had levels above the national lead reference level of 5 mg/dl. Children with this amount of lead in their blood are 30% more likely to fail 3rd grade reading and math tests. Lead-poisoned children are seven times more likely to drop out of school and six times more likely to become involved in the juvenile justice system. 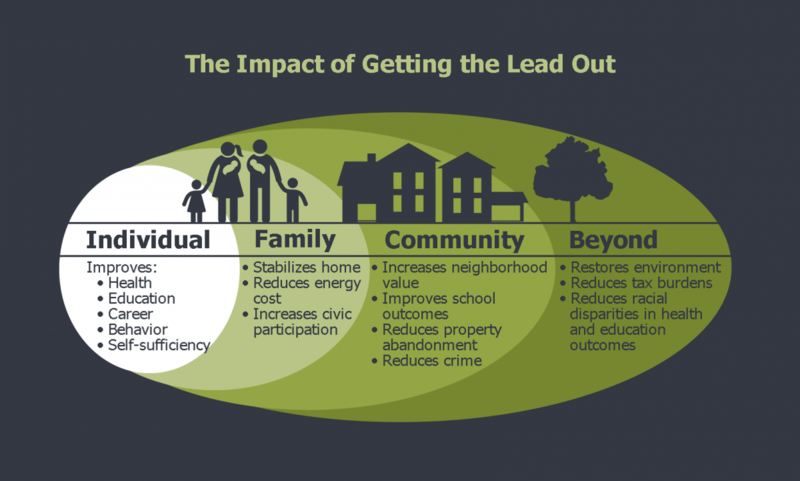 See the infographic below to see the ripple effect of addressing the issue of lead one Trenton child at a time. Give you a free gift bag of safe cleaning products and a $5 cash gift! If lead is found in the home’s paint or dust, Isles can immediately enroll residents in a program to make the home lead-safe for free. If lead is found in soil or water, Isles will provide education and a water filter to keep the family safe. After the assessment, residents could qualify for up to $12,000 in home repairs. Many homes are not identified as having lead until children have already been poisoned. Encourage your friends and family to be proactive about keeping their children safe. They can sign up for free lead testing at: isles.org/services/healthy-homes-lead-asthma or by calling 609-341-4726 or 609-341-4775 (for Spanish speakers). To share flyers, download them below. They are all available in both English and Spanish. Worried About Lead in Water? To request business cards to hand out or an Isles' staff member to come and speak/table at your event, email chooks@isles.org. We hope you will partner with us in the fight to end childhood lead poisoning. You can receive updates, tools, and information from Isles by clicking the button below.